Where next for the UK Catalyst Awards? 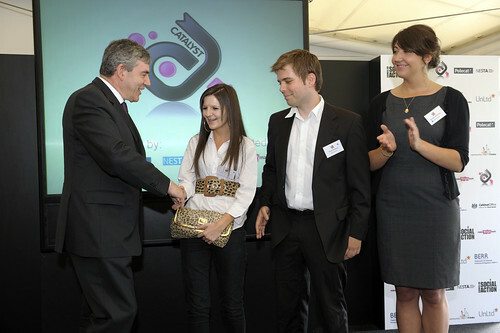 The Catalyst Awards ceremony on 24/7 has boosted the buzz around using social technology for community good. I'm happy with how it went, and I know it's already having a positive knock-on effect. But raising all that energy raises the question: where next? It was a curious experience to curate the awards, because of the need to bend a top-down initiative in the direction of community innovators. 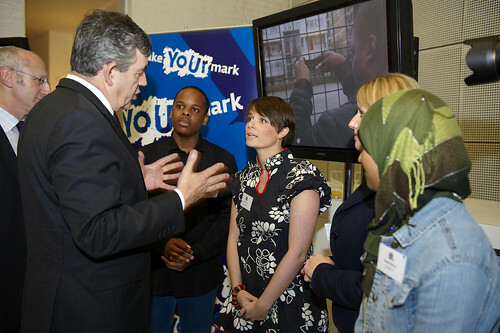 Luckily it succeeded, and the awards day reflected this curious mashup as PM Gordon Brown and a bevy of ministers mingled with social activists and tech obsessives. All the awards were well deserved, of course; but an awards ceremony only takes things so far. Yes, it delivered media coverage, starting with unexpectedly positive write-ups from The Sun and The Telegraph(! ).But I think all the wondrously diverse shortlist deserve a boost - and beyond that, so do all the folk who had the oomph to enter in the first place. And I'm not just saying that because I'm a nice guy, but because IMHO we're not just picking shiny projects at random, we're seeking to spotlight the birth of a movement. Whenever we got the shortlisted projects together, there was an immediate buzz. They're not working on the same social issues but they seem to recognise some commonality and were keen to share experiences, and even to form partnerships. This solidarity is great, and reflects the spirit of generosity of the social web. And I think there's a momentum building around this movement, a sense that web-enabled social change signals a new form of community action for the 21st century ("using the newest of technologies for the oldest of aims"). But how do we unlock this promise? How do we catalyse(!) more projects and help them grow once they've started? All the folk I met while doing the awards are taking an enterprising approach to developing their strange memes. They are social startups and need support that's as agile and experimental as they are. Developing that ecology of support is one key issure for Catalyst phase 2.